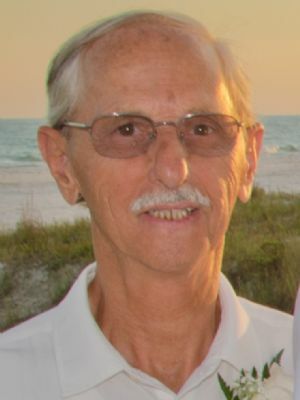 Andrew S. Petersheim, 77, went home to be with Jesus on Sunday, November 25, 2018. He is survived by his wife of 54 years Betty Lou Witmer Petersheim, children Rosa & Jim Edwards, Andy & Glendy Petersheim, David Petersheim and Priscilla & Kristopher Bagley. Grandchildren Kevin Martin, Kristopher Martin, Kelly Martin Kozlowski, Crystal Petersheim, Corey Petersheim, Noelle Bagley, step-grandchildren Tyler Edwards and Heather Edwards and great-grandchildren, Benji, Bradley and Aeson, siblings Mary Smucker, Amanda Lantz, Amos & Rebecca Smoker, Fannie & John Fisher, Jake Petersheim and Sister-in-Law Alta Petersheim. He is preceded in death by sister Lydia Smoker and brother Elam Petersheim, brothers-in-law Rueben Smucker and Amos Lantz. Andy was born in Leacock, PA, son of the late Jacob F. Petersheim and Sally A. Stoltzfus Petersheim and step-father, Solomon Wagler. He was a wonderful father, husband, father-in-law, grandfather and great grandfather. Andy truly knew what it means to be a servant and loved giving his time and help to anyone in need. He had an 8th grade education which did not stop him from serving faithfully on the mission field for 41 years. He answered the call of God and took his family to Guatemala on January 1, 1974. He founded the Mission Tabernacle of the Lord in 1979 in the Petén Jungle of Guatemala. Andy & Betty became missionaries of the Worship Center after joining this church in 1985. Andy lived a full life. He was so blessed to start churches in Nicaragua, Ecuador, Mexico and Guatemala. He ministered in Honduras, Spain, El Salvador, Mexico, Ecuador and Columbia. After Hurricane Mitch in 1999, he helped groups build over 250 small houses for people living in plastic and pole shelters in Nicaragua. He was a man who would go out to a village to preach for a week and come home with clothes missing. Once in Nicaragua a very dirty man came by the church and asked Andy for an outfit. Andy gave him a shirt and pants and then said, "Now I want to see you in church tonight." Sure enough, the man was there, bathed and wearing that outfit. He was in church every night Andy was there and gave his life to Jesus. Once retired, he and Betty Lou moved to Texas to be close to their children. But Andy's heart was always in the country he loved, Guatemala. He was a man of strong faith who was very confident on his journey into Heaven. Visitation will take place Sunday, Dec. 2, 2018, 5:00 – 8:00 PM at Furman Home for Funerals, 59 W. Main St., Leola, PA 17540. Service will be held Monday, Dec. 3, 2018 at 11:00 AM, with visitation starting at 10:00 AM at Worship Center, 2384 New Holland Pike, Lancaster, PA 17601. In lieu of flowers please send donations to Worship Center, Missions Department in memory of Andy Petersheim.